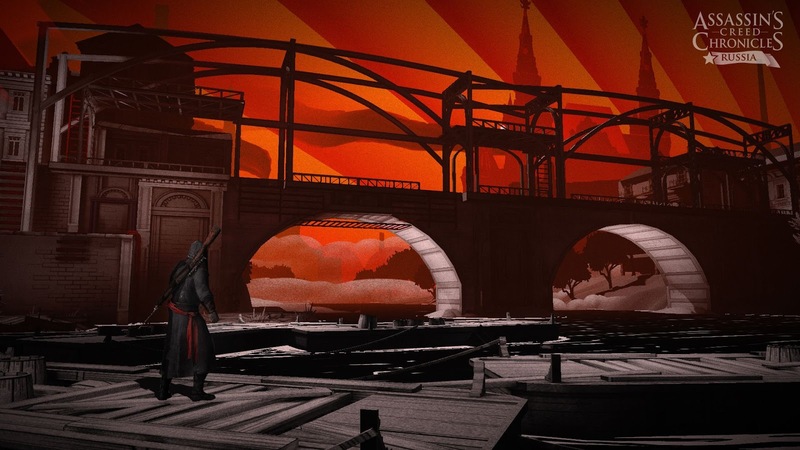 The Assassin’s Creed Chronicles games are a bit of an oddity in the franchise’s timeline. Developed by outsourced studio Climax Entertainment and released as a companion package to Assassin’s Creed Unity, the Chronicles titles are stealth action-platformers that take place on a 2.5D plane with self-contained stories while feeding into the overarching Assassin’s Creed mythos. 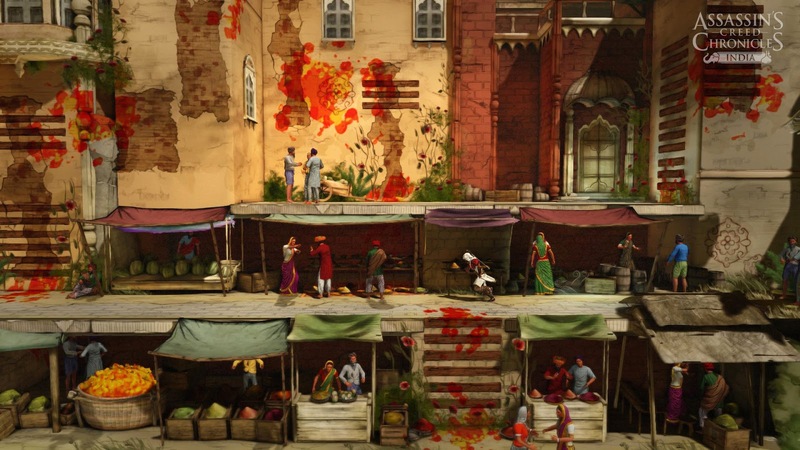 With a game set in late Ming Dynasty China, another set in Sikh Empire India and the last in Bolshevik Revolution Russia, the Chronicles titles explore locales and historical periods that a main series game would never go. 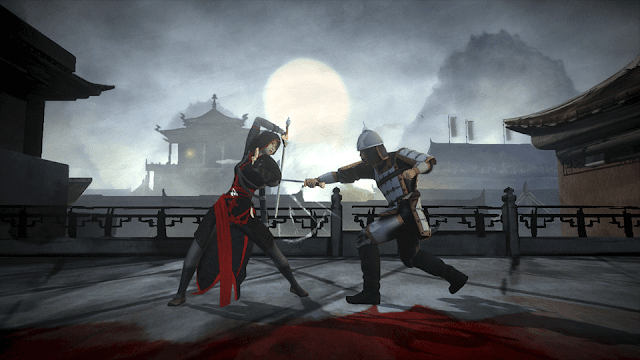 Related reading: You can check out Matt's review of Assassin's Creed Chronicles: China, on PlayStation 4, here. The Chronicles games are cinematic action-platformers on a 2D plane, taking a page out of low budget indie titles like Mark of the Ninja or Deadlight. The games are broken up into largely linear levels where the player must get from Point A to Point B without getting killed by guards, ducking through hiding areas and using a variety of distractions to avoid suspicion. Players are rewarded for speed and pacifism, with higher scores unlocking more assassins’ tools to use in later levels. When the player gets cornered into a tight spot they will be forced to grapple with the game’s combat system which is built upon blocks and counterattacks and, presumably as a stylistic choice, is barely functional. Your assassin attacks in the direction they’re facing, which isn’t helpful when most of the time when the alarm is sounded you’ll be beset on both sides. Of course, if you’re good at the game you’ll never have to experience combat at all, so this complaint doesn’t detract as much from the overall experience as you might expect. 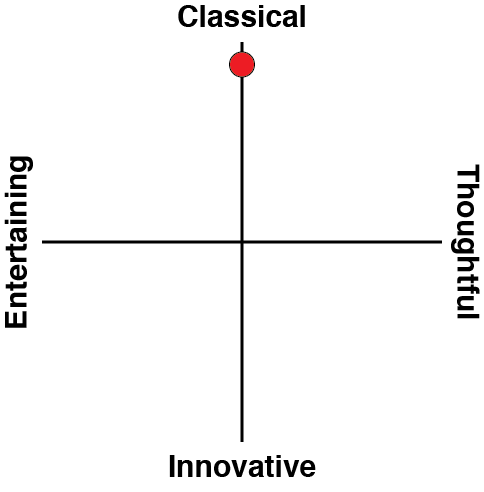 It’s clear that with each subsequent title, Climax got more confident and a bit more daring. 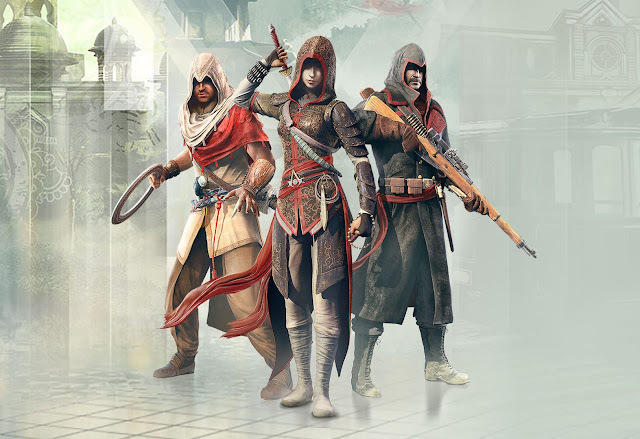 While China trudges along with basic level designs that rely greatly on indoorsy castle type environments, India and especially Russia break out into the open, attempting to simulate the vast 3D environments we’ve come to expect from Assassin’s Creed. The level designs get progressively more interesting as the levels go on, although that does come at the expense of the game mechanics becoming wearisome: the base framework introduced in China never really changes all the way until the end of Russia. Each assassin has a different loadout to reflect the historical period but they’re not much more than a skin of paint – Nikolai’s trusty rifle from Russia is functionally very similar to Shao Jun’s throwing knives from China, and India’s smoke bombs aren’t much different to China’s firecrackers. The overall outcome is the same – throw objects, distract guards. Related reading: You can check out Matt's review of Assassin's Creed Chronicles: India, on PlayStation 4, here. 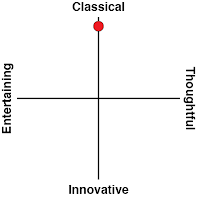 Your performance is graded on a points system based on your conduct on each level. Being stealthy, avoiding the sight of guards and never resorting to violence will earn you the best grade on every level, but doing so is much easier said than done. It can be tempting to hit the triangle button to easily kill unsuspecting guards and get them out of your hair (and goodness knows how cathartic it is to finally stab that crossbowman that’s caused you trouble for the better part of 15 minutes) but players will quickly learn the ins and outs of perfect stealth. Playing Assassin’s Creed Chronicles properly means deftly weaving through hiding spots so efficiently that the guards don’t even know you exist. Each level consists of a few checkpoints and altogether rounds to about 20 minutes each, which is a perfect length for the Vita. Each game has a normal mode, a New Game Plus and a harder New Game Plus, in which you keep all your equipment but there are more guards to trip you up. Each level also has some chests to find and Animus pieces for collectibles, and the level design strikes a nice balance between hiding collectibles off the beaten path and leaving them right in plain sight behind a legion of guards you would otherwise ignore. It’s a shame though because just completing the levels is challenge enough as it is. Collecting things was a joy in the open world Assassin’s Creed games as it could be done at your leisure. Here, you’re making the game harder for yourself and risking a lower end-of-level score. The difficulty is overall well balanced though and there’s a nice curve between teaching you the mechanics in the earlier levels and letting you use your tools to the best effect in the later ones. Checkpoints are abundant and load times are short so whenever you die you can jump right back in. I did have some issues with the controls, mostly the fiddly Vita joystick which would sometimes recognise up and down commands when I only wanted sideways movement. Guards also turn with next to no warning and the multiple planes make it hard to tell when you’re actually within the guards’ sights or not. If you get spotted it’s hard to recover; most of the time more guards will appear from every side until you’re dead – an outcome which taints and adds monotony to an otherwise well designed stealth experience. Related reading: You can catch Matt's review of Assassin's Creed Chronicles: Russia, on PlayStation 4, here. With regards to cultural immersion, Climax have done the best with the resources it had. Each game is believably set in its historical period and features key historical features, just like in the main series games. While you do meet a few of these people (and their stories become tied into the Assassin against Templar conflict at the expense of both historical accuracy and basic human logic), their impact on the overall narrative is not great. Every single game for some reason assumes the player will be more interested in an arbitrary Assassins vying for control over some Macguffin box plot. Game mechanics are given a distinct cultural skin and a bit of historical background info is tucked into the menu, but these titbits are written like an encyclopedia article and feel downright dreary to read. If only they were written in the character’s voice, or at least in a way that made the player want to know more. I did very much enjoy how each game’s art style drew upon cultural inspirations to deliver an eclectic representation of the locale, from China’s watercolours to India’s colourful designs and the grey and red palette of Russia reminiscent of Communist propaganda. Especially noticeable in India, outdoor environments were an absolute joy and Climax's artists use parallax scrolling masterfully to simulate a massive city. It’s a shame that the games still insist on more boring locations like tunnels, hallways and tunnels. When it all works, the immersion is fantastic and you feel like you’re in a sprawling environment. When it doesn’t, you consider just how much effort the team at Climax must have put in to make this 2D Assassin’s Creed game deceptively feel like a 3D one, and it leaves you longing for a main series game all the more. I wanted to like the Chronicles games, but for all the design marvels that Climax pulls off the games do still feel like an attempt by Ubisoft to tide series fans over until the next big title gets released. The Assassin’s Creed series has always been about big crowds, open worlds and cultural immersion, which is nigh impossible to pull off in a small budget title. Every single locale in the trilogy feels like it deserves a full game in its own right but just as I started to get immersed the story would be over and I would be whisked into a completely different historical period. Long time series fans will still find some enjoyment in the solid stealth platforming mechanics but that’s only if they face the fact that these games are Assassin’s Creed titles in name only.